Star Wars Jedi: Fallen Order is about to be shown off for the very first time. This is the new game from Respawn Entertainment, the team behind Titanfall 2 and the massively popular Apex Legends, but it's not an FPS. Described as a third person action adventure, it seems this will be a bit of a departure. Whatever the case, we'll be getting our first look very soon. Below, you'll find all the information you need on when and where to watch the reveal live stream. Here's when you'll get to see Star Wars Jedi: Fallen Order for the first time. 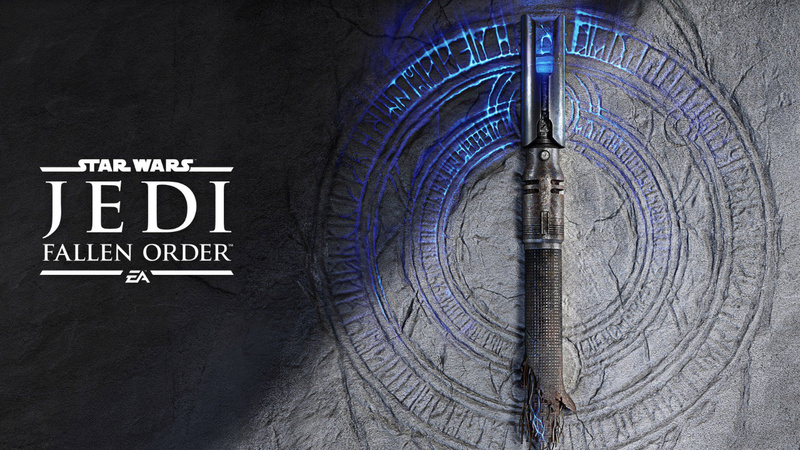 EA has revealed it will be streaming the reveal of Star Wars Jedi: Fallen Order over on its Twitch channel, which you'll find through the link. We'll also post the live stream right here on Push Square, so check back on Saturday to get your first look at EA's latest Star Wars game. Respawn- the only beating heart left at EA. Here is hoping EA doesnt go all temple of doom. The game is being made with Unreal Engine 4, so here is hope they release a quality game that doesn’t suffer from the same issues other EA games suffer from. So is this suppose to be sp or mp? Anyone know? But I don't like Disney's new canon at all. I especially don't like them shutting down Lucasarts and giving the keys to EA of all companies! I’ll watch the stream with interest and tempered expectations. @Heavyarms55 I actually enjoying the current Star Wars trilogy and this from someone who enjoys the original trilogy and am looking forward of seeing the third and final chapter. As for Disney shutting down LucasArts I had mixed feelings about part of me think LucasArt deserved it you know why two games Indiana Jones and the Staff of Kings and Lego Indiana Jones 2. When I bought the Indiana Jones and the Staff of Kings at the time I hope it would be like awesome Infernal Machine game but was wrong. Lego Indiana Jones was also a complete garbage and I when Disney shut them down my mind I said SERVES THEM RIGHT!!! @LaytonPuzzle27 You're fully entitled to those opinions, but I don't agree in the slightest. I detest the new trilogy and think it ruined the characters from the original movies, especially Han and Luke. I could almost tolerate that, if they treated the Expanded the way they did Marvel's other story-lines and considered it an alternate universe, rather than slapping the "Legends" label on it, calling it non-canon, cancelling all future work on it and stealing and twisting characters and content from it to fit into their "new canon". Furthermore Disney not only shut down LucasArts but also abruptly fired nearly its entire staff. Quite likely ruing all of their lives with little warning and resulting in the cancellation of several products. But even that wouldn't be as bad if they made Star Wars an open license that any game studio can apply to make a game for or at least gave the license to a company that was actually reputable. But it is no surprise, both EA and Disney are massive conglomerates trying to dominate their industries and squash any competition. Both would happily establish a total monopoly if allowed to, and Disney is getting close, buying every IP they can get their dirty hands on. I'm all in. Just can't wait !! @LaytonPuzzle27 Credit (or rather, lack thereof) where credit is due; neither of those games you mention were developed by LucasArts. The main LucasArts-developed version of Indiana Jones and the Staff of Kings (for PS3 and Xbox360) was cancelled late in development; however, as was common at the time, different support studios had completed development on the "lesser" versions (Wii, PS2, PSP and DS) and so they were released a couple months later, once the disappointment had died down. They were published by LucasArts because they share an identical storyline, voice acting, musical score, etc. but the Wii and PS2 versions were developed by Artificial Mind and Movement, whilst the PSP version was developed by Amaze (no idea who did the DS version, sorry, but it had to have been somebody different because its gameplay was nothing alike). For a similar situation, try playing the PS2 or PSP version of Star Wars: The Force Unleashed once you've played the "main" PS3 version. 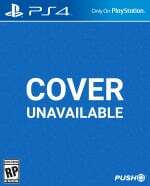 Identical story, published by LucasArts, but developed by Krome Studios and so very different in terms of level design, pacing and gameplay. Meanwhile, no matter the licence (Star Wars, Batman, Indiana Jones, etc.) all LEGO games are developed by either Traveller's Tales or their second studio, TT Fusion. LucasArts and / or LucasFilm might've slapped a logo on the loading screen, but it's there for legal reasons only. Given that it's Traveller's Tales alone who continue to make the slew of LEGO titles, they're bound to have some dips in quality and whilst I'd have preferred that dip to be during something I don't care about (Harry Potter or Lord of the Rings, perhaps) I personally can't hold it against them. They subsequently knocked it out of the park with LEGO Star Wars III: The Clone Wars, which is just a fantastic game from every possible point of view. I don't deny that LucasArts were a developer in trouble at the time of the Disney acquisition, and that there were obviously reasons for shutting them down which we may never know, but let's be accurate in our analysis of their output. Anyway, I'm disappointed that again, a livestream I actually wanna watch is scheduled for the one evening I'm not free this week (doh!) especially since I'm actually a little optimistic about this game. Mostly because it boasts a connection to the infinitely superior Prequel Era of the franchise, and so might actually end up being something unique and interesting rather than yet another lazy "here are some Stormtroopers and TIE Fighters" product. Nice one, a 3rd person Star Wars game! Sign me up. Being a 38 year old male, I kind of wish/hope it's based on the old gang rather than new characters, but I'll settle for it if it's good. @RogerRoger It was a HUGE mistake of cancelling the PS3, Xbox 360, and PC versions of Indiana Jones and the Staff of Kings it would been the perfect next-gen follow-up to Indiana Jones and the Infernal Machine and could have profited millions as a good Tomb Raider or Uncharted clone. Instead LucasArt shot them selves in the foot big time when went with the inferior versions. As for Traveler's Tails I forgive them the real blame should go to LucasArts for rushing them in the development Lego Indiana Jones 2 making it a sub-par game. @Heavyarms55 That's your opinion and for Star Wars "Legends" yeah I do have mixed feelings about but I definitely don't like EA is holding the Stars Wars gaming franchise hostage. Right now who else thinks that ‘The Rise of Skywalker’ is the corniest name possible? You might as well call it ‘The Lightsaber Legend’ or ‘The Emperor Is Inexplicably Back In Order To Appease Fans Through Completely Jumping The Shark’. I have faith in this game. Respawn (between Titanfall 2 and Apex Legends) has shown they can crank out great games despite being owned by EA. Hopefully it's another home run for them. Looks like it is releasing on the 15th of November. Really looking forward to this. Well, they (Respawn) have now stated on video that it's a single-player, story-driven game, with NO multi-player and NO microtransactions, so that alone is a minor miracle and very un-EA. As long as they don't pull an Activision and patch the garbage in after launch, of course. Lack of multi-player and MTX has my attention, but to be honest, I'm still unsure. Despite being a Star Wars fan, the only SW game I've ever bought was Rogue Squadron on the Gamecube. I don't know what it is, but the games have always struck me as sub-standard to what they could/should be. Maybe this will be the one which changes that... we'll see.